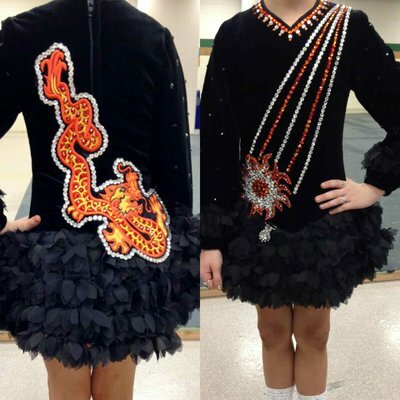 Black velvet dress decorated with fire opal crystals and dragon cape. 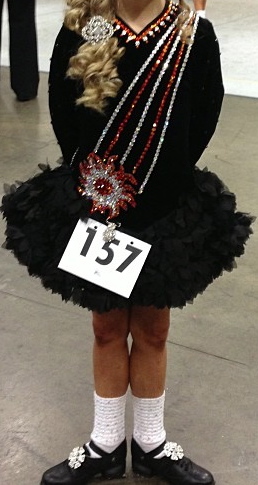 Suitable for under 10 sized dancer. 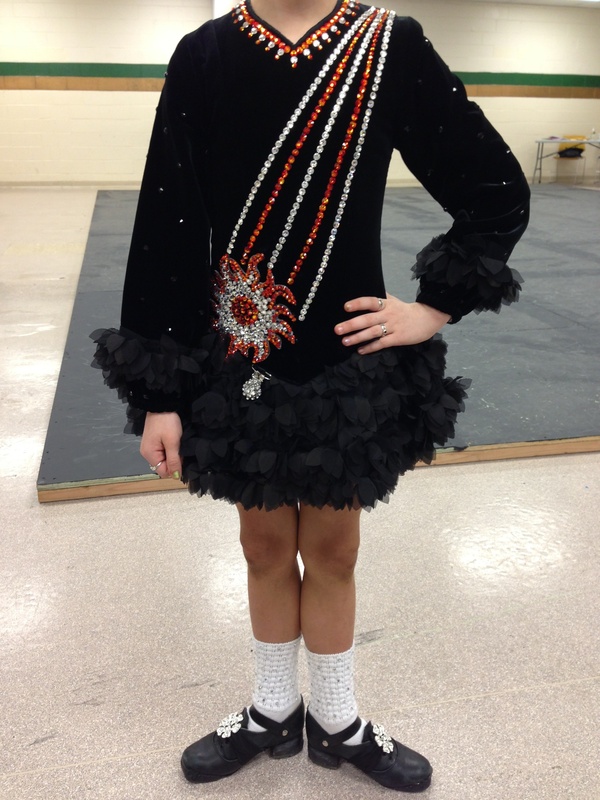 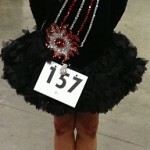 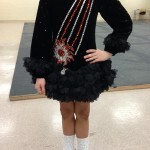 Dress worn by petit U10 Regional Open Champ dancer.